The ceremony, produced in association with the Game Developers Conference, will take place on Thursday, March 11, 2010 at 6:30 pm. The ceremony, which is open to all game developers, is held immediately following the Independent Games Festival Awards, and will be hosted in North Hall D of San Francisco's Moscone Convention Center. 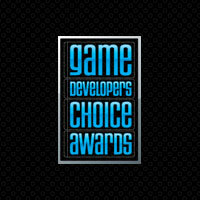 To submit a nomination ballot for the Game Developers Choice Awards, visit the official Choice Award website. For further information and to register for GDC, please visit GDC's official website.